Inside the Usagiyama Shopping District lies an eccentric but close-knit community of business owners. 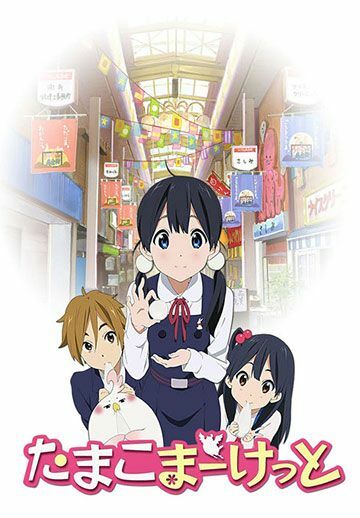 Tamako Kitashirakawa, a clumsy though adorable teenage girl, belongs to a family of mochi bakers who own a quaint shop called Tama-ya. One day, Tamako stumbles upon a talking bird that presents himself as royalty from a distant land. Dera Mochimazzi, as he calls himself, states that he’s seeking a bride for his country’s prince. Intent on his mission, Dera follows Tamako home and develops an addiction to mochi, becoming painfully overweight and subsequently unable to fly back to his homeland; thus, he takes up residence with Tamako's family and becomes the community’s beloved mascot. Meanwhile, Tamako's friend, Mochizou Ooji, continues to hide his true feelings for her. Their fathers are fierce mochi rivals, but will it be enough to drive a wedge between Tamako and Mochizou? And just what will happen to Dera's task of finding his prince’s destined bride?